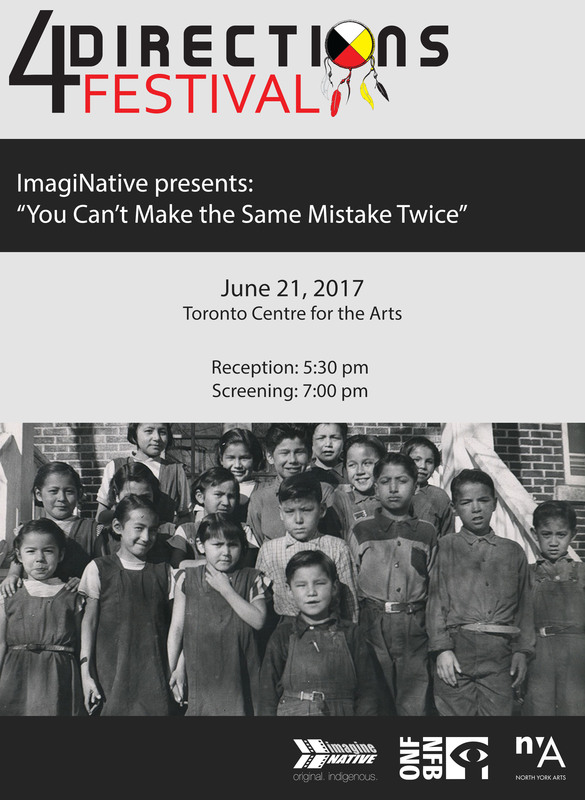 The Four Directions Reconciliation and the Arts Festival in Toronto, June 16-21st, 2017, is about raising awareness on reconciliation and indigenous issues. We hope to educate the general public about the residential school experience, the 94 Calls to Action on Reconciliation, and the colonialist policies and attitudes of the Canadian government and society. It is one of the darkest chapters in the history of the nation state that celebrates its 150th anniversary this year. That’s a chilling number, when you consider that Residential Schools scooped 150.000 children away from their families to experience neglect, disease, oppression, and abuse. Canada is celebrating 150 years of Confederation in 2017, but for the First Nations people it is more like a celebration of colonialism and we don’t want to celebrate that. Instead we want to honour the Indian residential school survivor legacy and the restoration of our identity as indigenous people. I am Michael Cheena, a residential school survivor. My connection to the Indian residential school survivor movement began in 1994. I filed a lawsuit against the federal government for residential school abuses: the loss of language, the loss of culture, and the loss of identity. We were indoctrinated to be Christians in the residential school system. We weren’t allowed to practice our indigenous culture and languages. The goal of this legislative government policy was assimilation – an attempt to kill the Indian in the child. We are Kevin Harp and Chester Abbotsbury, federal Native prisoners and inter-generational survivors who recently came to Toronto after serving 8 years at Collins Bay Penitentiary in Kingston, Ontario. We will be speaking at the festival to give people a better understanding of why indigenous people are so overpopulated in the federal prisons. Today, Canadian prisons are the new residential schools.